While I lived at SJC, a few fellow students from Quebec set up a little “francophone café”. We met in the lounge once a week and discussed something in French. As with everything that I did at SJC, the atmosphere was fun and we were happy to be involved. There were many accents and ability levels collecting in a welcoming atmosphere—a nice international mix. Little could I foresee then, how residing at SJC would give me lasting benefits long after I had left the college. In early 2012, a pal looking for a job in California came across an advertisement for a posting in Haiti and thought it suited me, a structural engineer; on pure speculation, I sent my CV to the firm in California and, within a few days, they had me on a plane to Port-au-Prince. 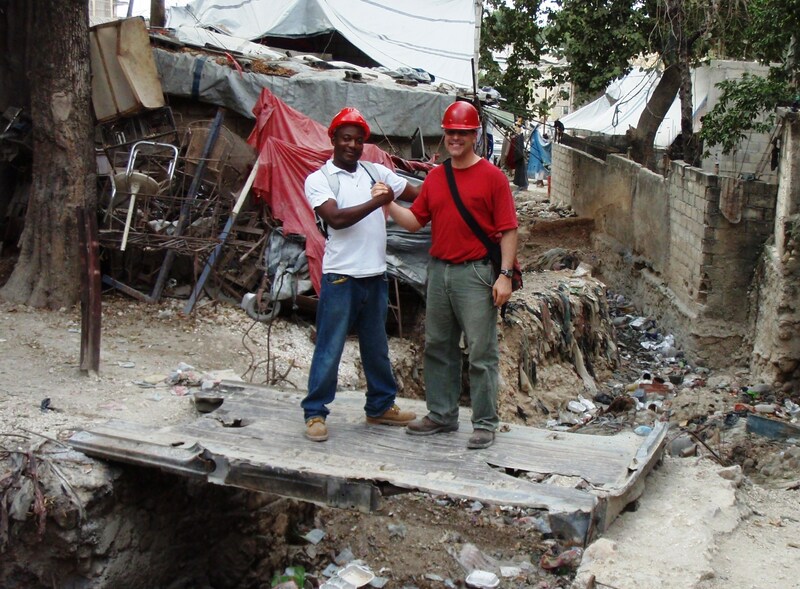 This firm has been working in Haiti as structural consultants since the catastrophic earthquake of 2010 which was estimated to have killed 316,000 and made a million homeless. I started in February 2012. 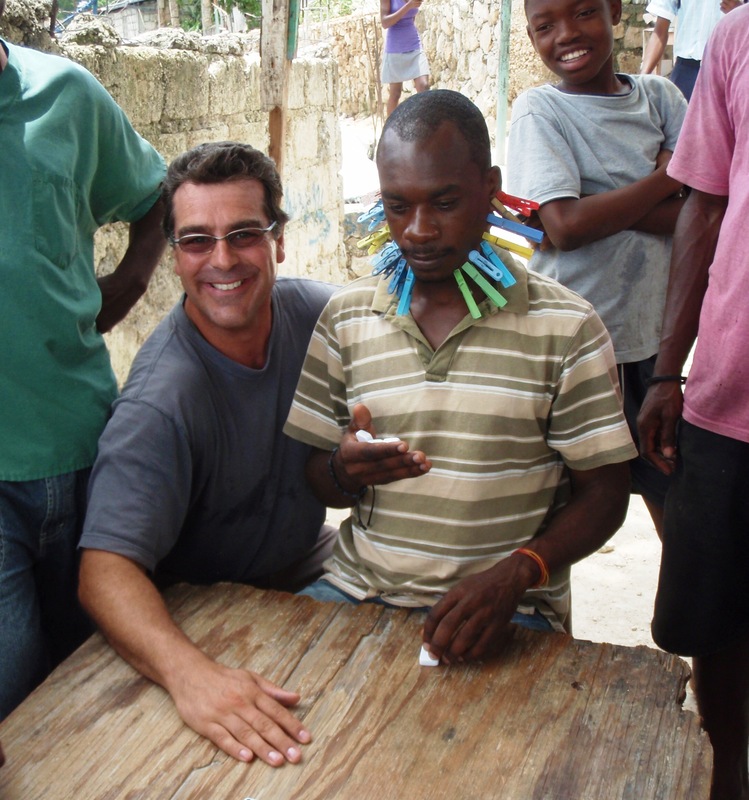 I now work with a Haitian-based consulting firm, repairing the main hospital (HUEH) in Port-au-Prince, some churches around the country and shanty town homes in the capital. Because of its colonial history, Haiti is a Francophone country with Haitian Creole and French as official languages. Being able to speak French is a key asset although the locals are very forgiving of my imperfect mastery. They are very warm and welcoming and really value structural engineering, unlike in Canada where it is seen as a necessary evil to gain a building permit. Apart from the heat (a bad winter day here is like the best summer day in Canada! ), a major challenge here is the lack of any real building code or quality control so I have to design from first principles and establish standards based on my judgement. Imagine how much more difficult my work would have been without a knowledge of French. I now find myself in an international environment as the rebuilding of Haiti after the devastating earthquake is a multinational effort. I work with professionals from all over the world and am able to connect with many because there is usually a SJC pal from the country who, in times past, provided me with an insight into their homeland. The map of the world for a Johannean is a mosaic of friends and conversations and some of these echoes will never fade. I continue to have fun practising my French.